Harrisburg, PA – Governor Tom Wolf and Secretary Leslie S. Richards announced today that 37 highway, bridge, bike and pedestrian projects will receive $40 million in Multimodal Transportation Fund grants from the Pennsylvania Department of Transportation (PennDOT). A list of the projects by county is below. PennDOT evaluated 251 applications totaling more than $282 million and made selections based on safety benefits, regional economic conditions, the technical and financial feasibility, job creation, energy efficiency, and operational sustainability. The Multimodal Transportation Fund was created by Act 89, enacted in November 2013, Pennsylvania’s far-reaching transportation funding plan. For the first time, transit, aviation, rail freight and pedestrian and bicycle modes obtained dedicated sources of funds, putting the modes on a firmer footing for future initiatives. For more information about the program, including the application form, visit www.penndot.gov and click on Multimodal Transportation under the “Projects & Programs” button. Allegheny County Parks — $2,100,000 to improve roadways throughout Allegheny County’s parks through widening the shoulders, paving, signage installation, and bike markings. Borough of Wilkinsburg — $203,703 to implement two-way conversion on Wood Street and a bicycle lane on Ross Avenue to enhance neighborhood connectivity, reestablish two-way traffic flow, address bicycle connectivity, and decrease social division. Urban Redevelopment Authority of Pittsburgh — $3,000,000 to construct street, pedestrian, bike circulation, and public space improvements in the four-acre area around East Liberty Transit Center (ELTC), a transit-oriented development. Ross Township — $865,000 for improvements at the intersection of McKnight Road and Siebert Road, which include adding an additional turning lane and installing a sidewalk Babcock Boulevard to McKnight Road. Zelienople Airport Authority — $2,244,153 to relocate and realign approximately 2,400 lineal feet of SR 288 to improve sight distances and create a safer roadway. Yardley Borough — $453,935 to install concrete sidewalks along North Main Street. Borough of State College — $100,000 for construction of a pedestrian island at the intersection of Park Avenue and McKee Street, which is intended to provide a safer crossing for pedestrians and cycling at this intersection and meet the accessibility needs of sight impaired residents. Wayne Township — $1,225,000 for reconstruction and widening of Shoemaker Road. The existing road serves two commercial parks but is currently posted as a 10-ton limit due to the lack of roadway base and narrow width. Borough of Carlisle — $2,021,950 for reconstruction of N. Hanover Street/Carlisle Springs Road intersection, including elimination of at-grade railroad crossing. Borough of Carlisle — $1,556,700 to restore B Street as a complete street from College Street to Carlisle Springs Road (SR 34). Cameron Street Investments — $1,807,908 for roadway improvements on Cameron Street between Herr Street and Goodwill Street to include widening for turning lanes, ADA improvements at Herr Street, traffic signals at Goodwill, new curb and storm water management drains, and relocation of utilities. City of Harrisburg — $2,236,667 to improve the vehicular, transit, pedestrian, and bicycle movements within the city north of the Capitol Complex and to address several transportation-related safety issues. A total of $6,710,000 is committed over the next three years for this project. Susquehanna Township — $368,570 to construct approximately 1,800 feet of ADA-compliant sidewalk along the south side of Union Deposit Road between Shield Street and Powers Avenue at the Union Square Shopping Center. Indiana County Development Corporation — $1,400,000 for Phase 3A road improvements in Windy Ridge Business and Technology Park, including extending the internal roadway, final design, survey, construction, storm water improvements and street light installation. Tuscarora Township — $245,814 for full reclamation and resurfacing of Bunker Hill Road. Crystal Window & Door Systems PA, LLC — $2,100,000 for infrastructure improvements that will support the creation of a manufacturing plant on Franklin Valley Road which is not currently capable of supporting commercial traffic. Heritage Valley Partners, Inc. — $463,179 to create safe, ADA-compliant access from existing Lackawanna River Heritage Trail to Lackawanna Avenue, providing a direct link to downtown commerce, government services, historical and cultural venues, and educational institutions. TCCC-Lancaster Holding, LP — $1,100,000 for improvements to the U.S. Route 30/Harrisburg Pike interchange, including additional turn lanes and signalization to improve the traffic flow at the interchange. East Hempfield Township – $1,000,000 to extend Embassy Drive through the Township’s targeted Growth Opportunity Area #2, which will facilitate construction of the Outin Tract mixed-use development and alleviate congestion along Rohrerstown Road. City of Lancaster — $376,697 to complete the Christian Street Bicycle Boulevard with sharrows, signage, and pedestrian hybrid beacons to create a safe north-south route in the City, connecting to the Amtrak Station for pedestrians and cyclists. City of Lancaster — $1,305,713 to construct the Northeast Trail Extension, a 2.35-mile on- and off-street trail that will connect the City to parks, schools, and employers to the east and northeast and create a bicycle commuter route. The Waterfront Development Company — $2,280,000 for construction of a 2/3-mile, two-lane road west of Allentown’s Waterfront, including four intersections with existing roads, trees, lighting, crosswalks, ADA ramps, water/sewer, and storm water. City of Pittston — $372,606 to replace sidewalks that are crumbled, non-existent or composed of unacceptable materials, replace inadequate lighting making both pedestrian and vehicular travel safer, and improve crosswalks and the overall appearance of crucial sections of Main Street and adjacent areas in the City’s Business District. Greater Wilkes-Barre Industrial Fund — $800,000 for road construction and alignment of the Blackman St. Plaza and the intersection of Johnson St. and PA Highway 309, traffic signal installation, and paving, grading, and curbing. 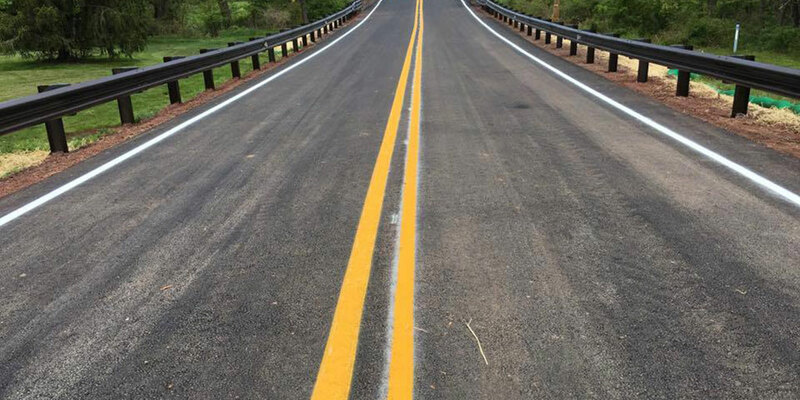 Armstrong Township Board of Supervisors — $95,000 for roadway construction along Mosquito Valley Road that will improve structural stability, safety, and pavement drainage and safely provide for multimodal uses. City of Farrell — $467,400 for repaving Hamilton Avenue, the oldest remaining section of city street with cobblestone, between Stevenson Street and Kedron Street to enhance safety and accessibility. City of Sharon — $663,770 for safety, accessibility, and mobility improvements to the following streets within the City: McDowell, Boyd, Richmond, Fairfield, Lillian, Dougherty, Thorton, Forker, Linden, Alcoma, and Pearl. Pocono Mountain Industries, Inc. — $2,074,563 to construct roadway improvements on Routes 209 and 447 to support construction of Smithfield Gateway, a mixed-use development in Smithfield Township. Abington Township — $588,153 for improvements to the intersection of Old York (PA 611) and Susquehanna Roads, including realigning the intersection, increasing the turning radii, adding a turning lane, upgrading traffic signals, and improving access to businesses on the northwestern corner of the intersection. Lower Moreland Township — $208,587 to implement a streetscape plan that supports walkability along Huntingdon Pike, promotes economic revitalization, provides children access to safer routes to school, increases connectivity to public transportation hubs, and provides access to neighboring communities. City Avenue Special Services District — $889,846 for road and safety improvements on City Avenue. Logan West Associates, LP — $2,000,000 to prepare the Logan Triangle in North Philadelphia for redevelopment by vacating a series of unused, dilapidated streets and completely reconstructing arterial access roads, 9th Street and Wyoming Avenue. Schuylkill River Development Corporation — $911,637 to complete the final phase of construction for the South Street to Christian Street extension of the Schuylkill River Trail, including plaza paving, fencing, trail furniture installation, landscaping, irrigation, pavement markings, and signage. Borough of Seven Springs — $1,351,767 to support a transportation plan that will improve Waterwheel Drive and add a new secondary road, Lodge Drive, to minimize traffic congestion and connect alternative modes of transportation. Borough of Derry — $210,000 for reconstruction of East Owens Avenue from SR 0217 to the intersection with N. Ligonier Street to provide two-way access and demolition of the existing bridge on N. Ligonier Street at the intersection with SR 0217. City of Latrobe — $100,000 to enhance the safety and accessibility of a major intersection in downtown Latrobe, including eight new curb ramps, new asphalt at the site, four decorative crosswalks, and a surface sign.